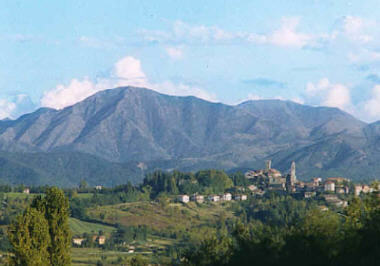 Our history is deeply connected with agriculture, with people of our land, Piedmont an area rich of hills, mountains, woods and vineyards where in summer the sun shines and in winter intense cold reigns. The problems of our land belong to our genetic history. We know all problems due to the narrow spaces, to the ground asperities and to the growing in the slopes. We have always faced them and we are proud to state to have found advanced solutions. 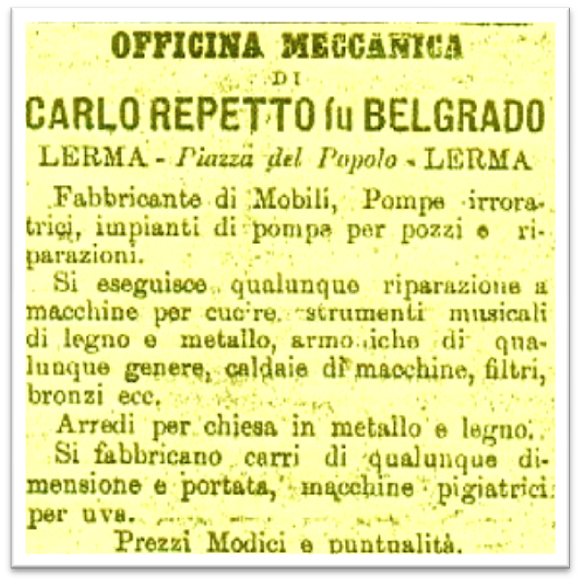 In 1883 Mr. Giovanni Battista Repetto , who was called Belgrado because of an adventurous journey, built a spraying machine for copper sulphate that is still used today without any substantial modifications. 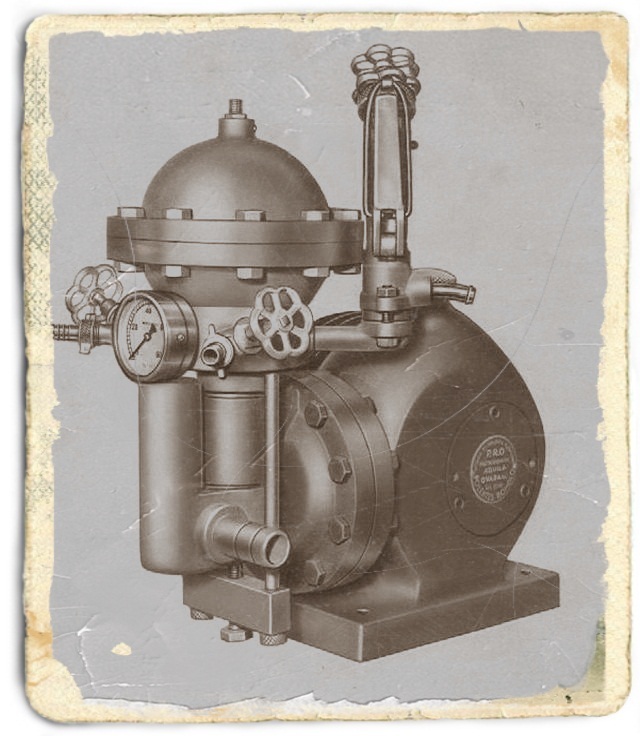 This machine was patented and won prizes at the Paris Exhibition in 1903 and at the Turin Exhibitions in 1911 and 1928. 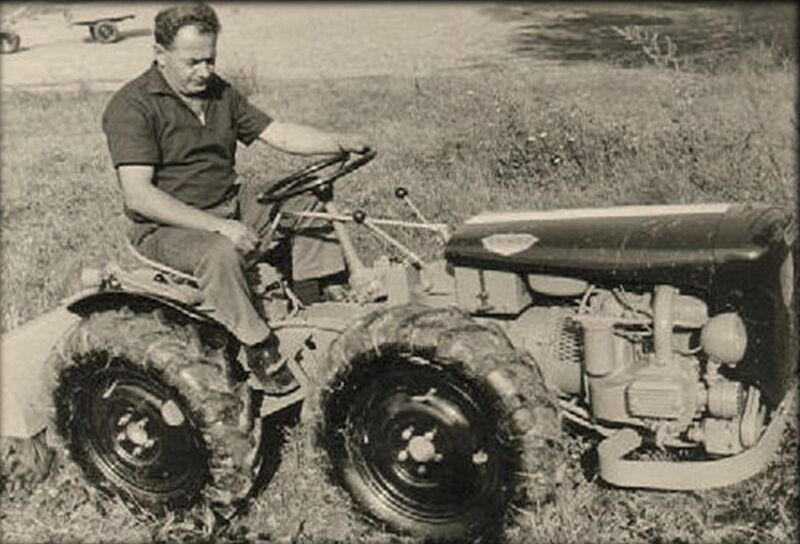 Romolo Polentes, the nephew who gave the name to the company (Polentes Romolo > PR> Pierre) built in 1956 his first spraying pump with motor. 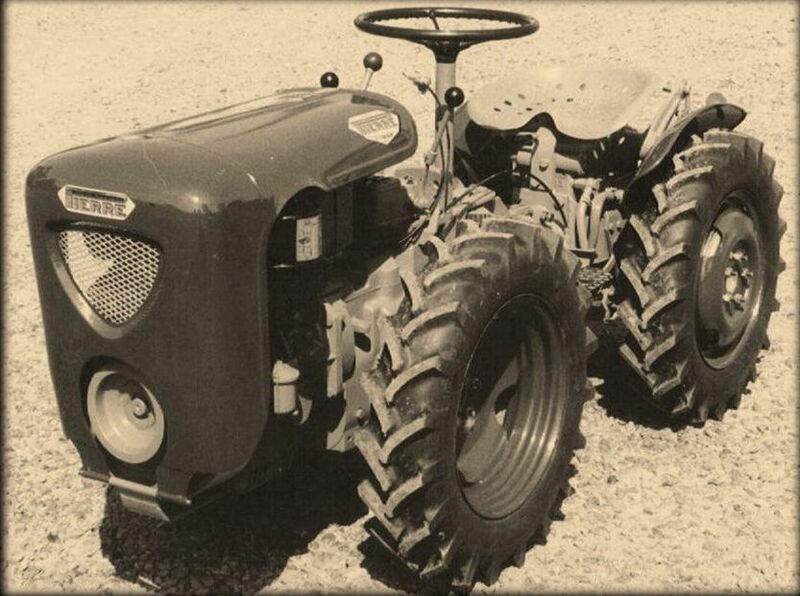 In 1957 he built his first motor cultivator that was named Pierre. 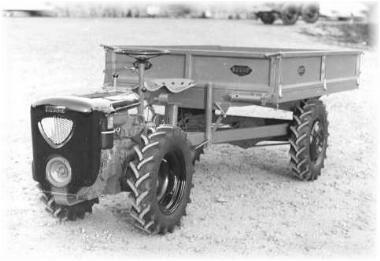 It had 4 gears, gear-box with forced lubrication and automatic patented device for the release of the milling machine on the reverse. 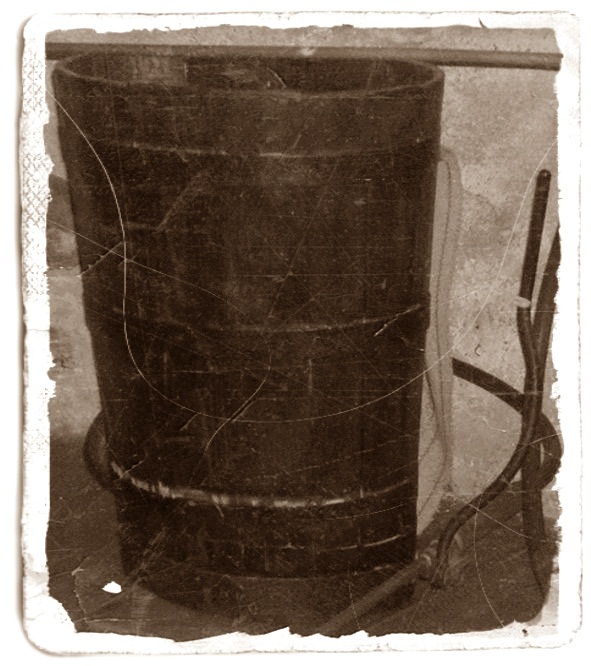 This was the first prototype and then it was used by all the other builders. 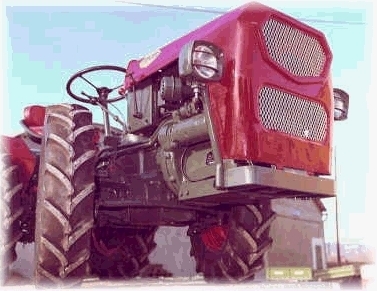 During the uso of the tractor articulated in center on the slopes there appear limits (low stability) - the tractor steered with front wheels gets developed to eliminate the critical points of his predecessor. 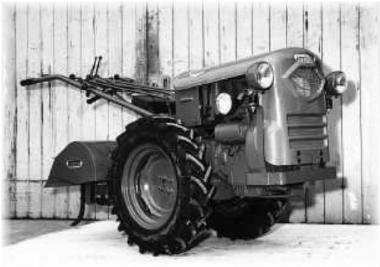 In 1959 was built the little tractor Pierre with steering-gear on the front axis, that for several years remained the only exemplar. 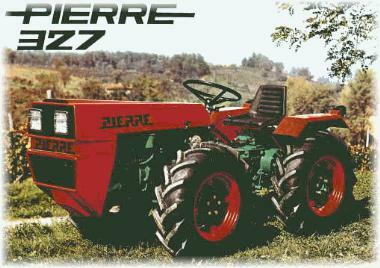 In 1969 was built Pierre 327. 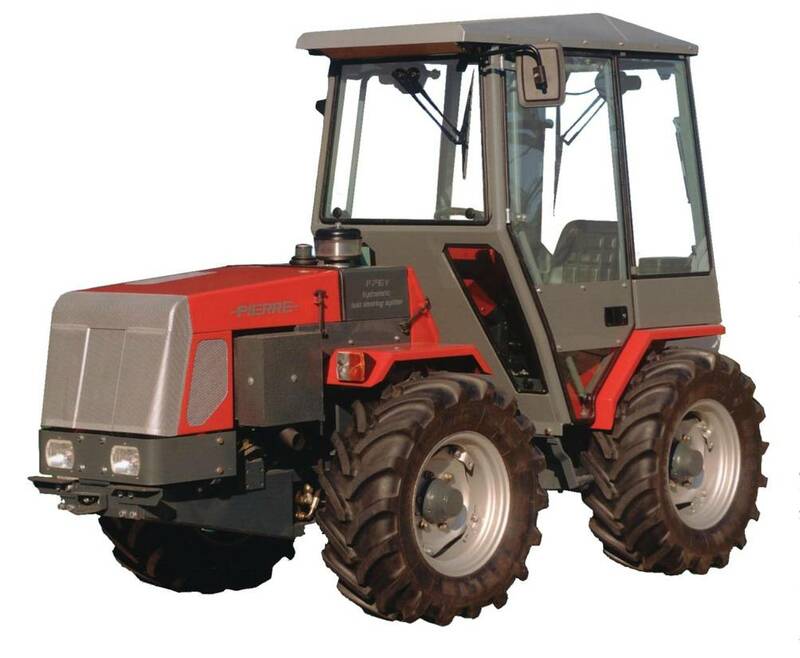 It is appreciated by all users for its performances and its proverbial strength. 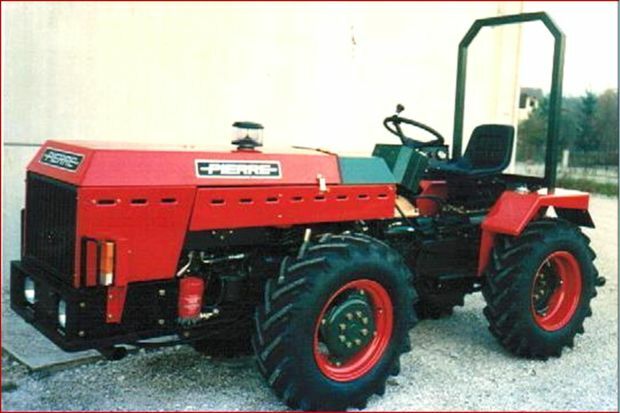 In 1986 Giovanni Polentes, who succeeded his father, began to build the tractor type 358 with hydrostatic driving and double steering-system whose characteristics are still today incomparable on the market.